Inspired by 1960’s French-Swiss film director, Jean-Luc Godard, the Godard Armchair represents his daring visuals, iconic imagery and covetable style. Part of the Century Collection by Ottiu, the Godard Armchair is hand-crafted with a mid-century modern shape and luxurious finish. Available in genuine leather upholstery, the strong frame is supported with pinewood legs lacquered in metallic gold. 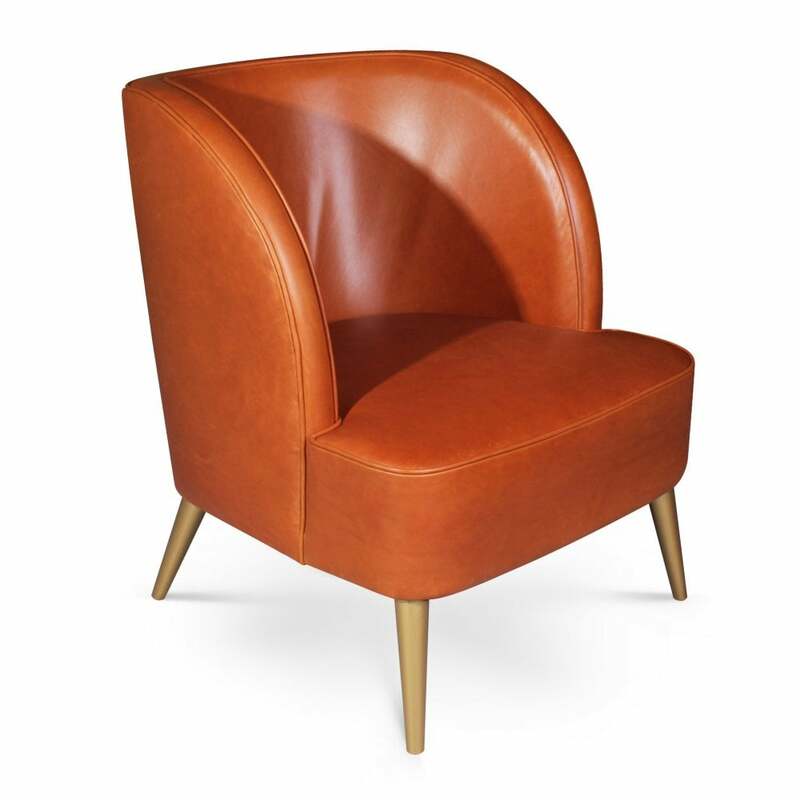 This mid-century modern armchair will give any luxury living space a fresh and elegant touch. Choose from a range of fabric and finish options. We also love this armchair in the metallic grey velvet fabric with copper plated feet. Make an enquiry for more information. Priced for Upholstery: Ottiu Fabric. Structure: Pinewood, legs lacquered in metallic gold.